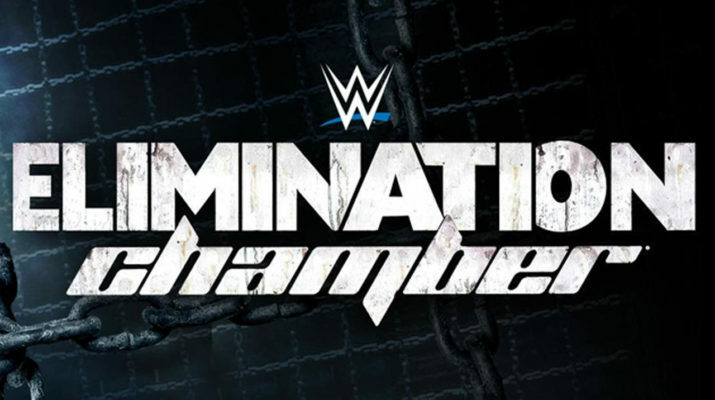 Elimination Chamber Kickoff Show starts soon…. Keep checking back for live updates. Hawkins is out first followed by Mojo. The match begins with Hawkins doing his typical running from this opponent and diving out of the ropes multiple times. Mojo appears to be getting frustrated then Hawkins sucker punches him. Mojo gets pissed and punches him back, followed by a chop block. Hawkins takes control on the outside of the ring. Mojo struggles to make it back into the ring as they cut to commercial. We come back from break with Hawkins still in control. Hawkins is sweating like he is 45 minutes deep of a 60 minute iron man match. Hawkins getting frustrated because after multiple reverse choke holds Mojo won’t stay down for a 3 count. Mojo starts doing his best Hulk Hogan and firing up. 3 straight clotheslines and a Stinger splash in the corner couldn’t keep Hawkins down. Hawkins counters and almost pulls out a quick three count. kick out at two for Mojo. Mojo hits a right hook punch in the face in the corer on Hawkins to put a fork in him. Sets up a tilt a whirl slam for an overkill, but finally gets the 3 count victory. Elimination Chamber Main Card is about to kickoff…. Here we go folks. The road to Wrestlemania takes a rest stop bathroom break here at the Elimination Chamber. Our first match will be Becky Lynch vs. Mickie James. Becky is first out to a huge pop, and looking beautiful as always, even with those stupid glasses. Next out, the legend of Mickie James coming out looking great as well. The match kicks off with Mickie James in control but they continue to counter each other in the longest collar and elbow tie up in history. I actually went to get a drink and they were still locked up. Becky Lynch is finally in control after a flying cross body to Mickie outside the ring. This match couldn’t go any slower if Mae Young was wrestling in it. Mickie puts Becky in a hammerlock bridge, but Becky finally battling back. This match keeps going back and forth and now Mickie is back in control again. Its like a badminton match. Back and forth and hard to watch. Becky finally gets on the attack, giving Mickie an exploder. Becky goes for the cover but only gets a 2. Becky is really struggling with her injured arm. Mickie now back in control after a miss by Becky. James leaps from the top rope and connects. She goes for the cover and gets a 2 count. Mickie targeting the left arm with another hammer lock. Lynch counters with an elbow and then hits a missile drop kick from the top rope. 2 count again. Mickie hits the Mick kick but Becky is too close to the ropes. Mickie stalking Becky and taking too much time. Becky reverses and rolls up Mickie for a surprise 1,2,3. Next match is our handicap match of the night. Apollo Crews and Kalisto vs. Dolph Ziggler. First out is Crews. Next comes out Kalisto but doesn’t make it to the ramp before being ambushed by Dolph. Looks like this may be a 1 on 1 for now at least. Crews makes his way into the ring and starts to pummel Ziggler. Dolph always doing his best impression as a wrestling dummy, getting beat from post to post by Crews. Ziggler gets control back and now putting the boots to Crews. He drops Crews with a reverse neck breaker. This match has been completely controlled by Ziggler as he is dominating Crews. Kalisto trying to make his way into the match but the referees and trainers not letting him in. Crews is back in control inside the ring with a kick to the back of the head. Kalisto is back in the ring and all over Ziggler. Apollo Crews hits his signature move and picks up the 3 count. After the match Ziggler blindsides Kalisto and Crews. Picks up a chair and wraps it around Crews’ ankle. He smashes Crews’ ankle with a stomp and the commentators is playing it up as a broken ankle. Ziggler isn’t done though. He stomps on the chair a second time and Crews will be on vacation next week. Ziggler finally leaves the ring. Next up is the Smackdown Tag Team Championship match. This should be fun. The match starts with two teams, and as one team gets eliminated another will come in. First two teams to start are Breezango and Slater and Rhyno. Obvious there is no advantage to being one of the first two teams to start this off. Slater is in control early. Rhyno tagged in to a huge ECW chant. Slater tagged back in and as expected Breezango gets control back. Slater counters and almost picks up the win. Slater tags Rhyno without Fandango knowing and he crushes him with a gore. 1,2,3 and Breezango are eliminated. Just that fast The Vaudevillians are out to keep the match going. Vaudevillians in complete control early, but Rhyno quickly turns the tide. Slater hits a DDT and picks up another 1,2,3. The Vaudevillians are eliminated and next out are the Usos. Slater and Rhyno are rolling but the Usos are fresh. Usos are working on Rhyno and finally a team decides to actually try to beat the bigger guy of the opposing team. Rhyno fights back and get Slater back in. Slater is rolling. Jay Uso hits a Samoan drop to end Heath’s run. The Usos hit a superkick behind the referees back and beat Slater. Rhyno and Slater and eliminated. Next out are the tag team champions The American Alphas. The Usos go right on the attack. These two teams go back and forth and the winner will get the Ascension for the championship. I’m sick to think the WWE didn’t make these two teams the final teams in this elimination match but one of these two will be gone. The match goes back and forth with the Usos doing the most damage. Tag champs but Jay Uso in the electric chair but countered. The Usos get eliminated but go on the attack after they get eliminated. The Usos are doing damage to American Alpha after the match leaving them for waste. The Ascension gets to come in next and pick the bones. The Ascension are still yet to come out as the Usos continue their attack. Now the Ascension decides to take a slow walk to the ring instead of hurrying up and pinning the lifeless Jordan. Ascension hits the fall of man and only gets a 2 count. Gable saves the titles for now. With no ability to mount an offense or defense for that matter the Ascension are just picking the bones. Somehow, however, the Ascension can’t seem to pin the champs. Finally American Alphas are fighting back and a tag to Gable and they hit their finisher somehow. 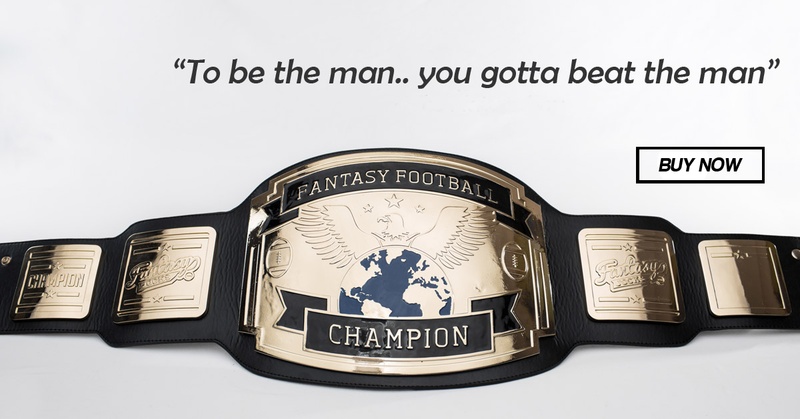 The American Alphas pick up the win and retain the titles. Nikki sporting the John Cena colors in this match and the action starts off with Natalya and Nikki going back in forth. Nikki showing Natalya an assortment of moves that she has not pulled out before. Natty seems content doing one move and pandering to this crowd. The match finally takes a turn for the better as Nikki hits some offense and puts Natty in the STFU. Yes John Cena’s move. Natalya gets to the ropes. Nikki continues the attack and hits a spinbuster. Natalya with a superplex off the top rope. She slaps on the sharpshooter but Nikki counters into STFU but Natalya gets to the ropes again. Both women fighting on the outside and its a double count out. After the match Natty attacks Nikki but as she is walking back up the ramp Nikki hits her with a full speed spear and absolutely crushes her. Nice bump there by both girls. After the lead up to this match from the last few weeks the Viper makes his way out. Luke Harper comes out to a surprising reaction from the crowd. This match starts off at a snails pace but with Harper in control. Eventually Harper tries to take a high risk and gets caught. The action spills to the outside and Orton bounces Harper off the announcers table. This match is a battle of who can hurt the other one worse. The crowd begins to boo as Randy holds Harper in a reverse choke hold for far too long. Randy finally puts Luke down and continues to do his signature pose on the middle rope. Randy goes back on the attack and picking him apart. Harper trying to fight back and now goes on the attack. The crowd seems firmly behind Harper as he hits a big boot on Orton. Harper taking risk by flying outside the ring into Orton and Orton flies over the announcers table. Luke Harper hits Randy with a back body drop on the table but that doesn’t last long as Orton hits a body slam to Harper on the outside. They battle their way back into the ring. Orton hits a superplex on Harper from the top rope. OMG!! We finally get a “This is Awesome!” chant from the crowd. Orton panders to the crowd and coils up for the RKO. He gets caught with two huge super kicks from Harper. Harper hits a sit up powerbomb and gets a 2.5 count. How did Randy kick out from that? Again we get “This is awesome” chants. Both guys have given everything and they are going back and forth with punches to the face. Randy hits the RKO out of no where and picks up the win. The second to last match tonight is the human glow stick Naomi vs. Alexa Bliss for the Smackdown Women’s Championship. Naomi gets introduced to a huge pop while Alexa Bliss gets a lot of boss and whistles. Naomi comes out on the offense and it looks like Alexa may have taken her a little soft. Eventually Alexa does get control back but early on this two women and very aggressive. I love that Mauro Ranallo just made a “Catch me outside” reference followed up by David Otunga with an on point “How ’bout dat”. Naomi still working really hard in this match but Bliss has been mostly on the attack. Naomi finally surprises Alexa with a rear view and gets a 2 count. Alexa eventually gets control back and hits a DDT for a 2 count. Alexa throws a tantrum after not keeping Noami down. Naomi counters with a moonsault that misses and Alexa rolls up for a coer and gets caught with her feet on the ropes. Naomi counters Alexa Bliss finisher and hits her own. Naomi gets the 1,2,3 for the win and new Smackdown Women’s Champion. The main event is next as the chamber is lowered. 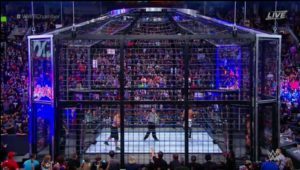 For those of you that do not know the rules to the Elimination Chamber two superstars will start in the ring and the other four will be locked in pods around the ring. Every five minutes a random pod will open and 1 more entrant will be in the match until all men are in the match and individually eliminated. The winner will be the new WWE Champion. First out is the Lunatic Fringe Dean Ambrose who will be in one of the four pods. Next out is Baron Corbin who will be in another pod to start the match. The third competitor announced that will start in a pod is The Miz. The fourth and final pod will belong to Bray Wyatt. That means John Cena and AJ Styles will start this match in the ring. A rematch from Royal Rumble a few weeks ago. Aj and Cena putting on a display as we had expected with both men showing off their abilities. Cena is in control when the first pod opens and the next entrant is Dean Ambrose. The lunatic is loose and he goes right after Cena. The next entrant into the pod is Bray Wyatt. He enters with all three men down and hurting. It didn’t take long for Bray to be in the same condition as the other three guys. AJ and Cena are climbing the structure and this is not going to be good. Cena takes the fall and AJ climbs onto a pod where he is met by Ambrose. Both men are fighting on top of the pod. Bray comes over and rips Dean off the pod. We get another chant “This is awesome” from the crowd. The fifth entrant coming in is Baron Corbin which leaves The Miz as the last one still waiting in a pod. There are still no eliminations as of right now. The Miz is finally let into the match and he is in no hurry. Baron Corbin is waiting for him but gets rolled up by Dean Ambrose and gets eliminated. Baron Corbin is eliminated first. Corbin is not happy and starts beating up Ambrose sending him through the pod plexy glass. He is not going to leave peacefully obviously and it appears they are setting up a match for Wrestlemania with Corbin and Ambrose. Amrose is left for dead and Miz smartly comes in and pins Dean to eliminate him. Dean Ambrose is eliminated second. The Miz, AJ, Cena and Bray Wyatt are left…. Miz in complete control until an AA from Cena that eliminates The Miz. The Miz is eliminated third. Its down to AJ and Wyatt attacking John Cena. Cena hits Bray with an AA and Styles hits Cena with a Styles Clash. No one gets a pin fall. Cena now hits AJ with an AA and only gets a 2 count. What a match.Cena launches himself off one of the pods and lands on AJ and Bray. All three men are down.Wyatt hits sister Abigail on Cena and pins him for a 1,2,3. Cena is eliminated. John Cena is eliminated fourth. Wyatt and Styles go back in forth with some amazing moves. This could go either way as both men get a near fall. AJ goes for the springboard 450 but Bray kicks out. AJ seems to have hurt himself during that move and is struggling to catch his breath. AJ goes the the phenominal forearm and is caught by Bray with Sister Abigail and gets the pin fall. The WWE Universe has been asking for this and now we have Bray Wyatt as champion. This is Bray’s first WWE Championship reign, setting up Bray vs. Randy Orton at Wrestlemania.